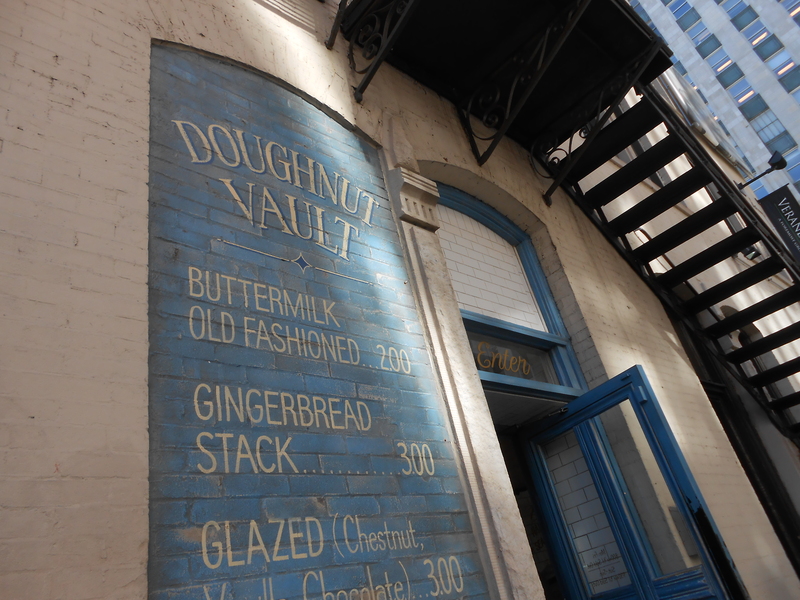 The Doughnut Vault is located at 401 North Franklin Avenue near the Brown/Purple line Merchandise Mart stop. They open around 8am Monday through Friday and 9:30 on the weekends. At Merchandise Mart you have a couple options, you can find stairs and walk down from the platform or follow the majority of the crowd up into Merchandise Mart. If you do this you’ll most likely get lost, because we got lost by following the crowd when instead we should have looked behind us and taken the stairs which would have placed us near the Donut Vault. We went inside Merchandise Mart which is a bit like a mall/business/hotel all rolled into one. Merchandise Mart was built in 1930 in Art Deco style and at the time was the largest building in the world. It’s over 4,000,000 square feet worth of floor space, so by the time we got to the end we were not as close to the Doughnut Vault as we should have been. The Donut Vault itself is tiny. You go in through the main doors and right in front of you is another set of doors, but that isn’t going to lead you into the shop. Instead you need to turn left and you’ll find the desk where you order. The shop is essentially a tight hallway with the cashier and donuts on the left and water and glasses on the right. Outside there is a limited amount of seating. 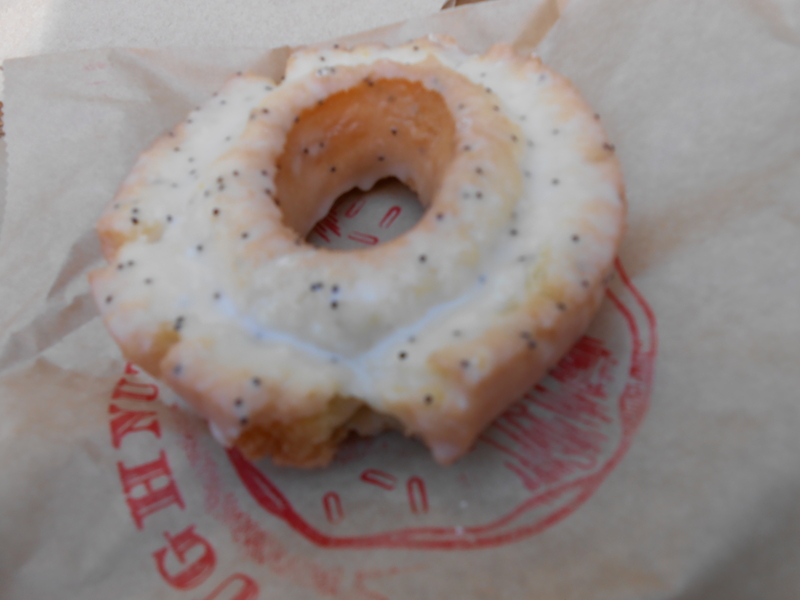 I ordered a lemon poppyseed old fashioned that I enjoyed. 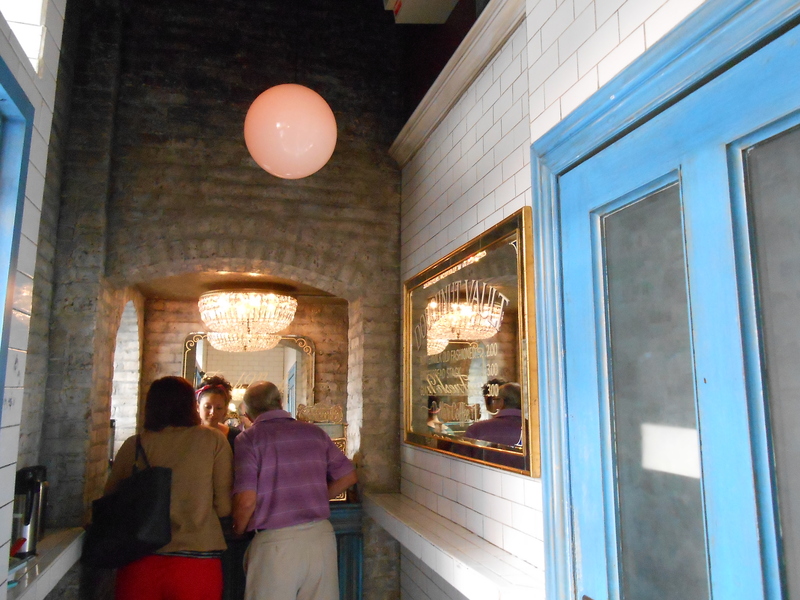 The donut vault closes when they sell out of donuts, and since it’s close to a business hub like the merchandise mart it may sell out quickly.